It was too heartbreaking, so now I have to be jealous of everyone who has kitties. One of my cats has a box he sits in. He is particular that it has to be that one box and heaven forbid our other cat get in it. It starts WWIII. 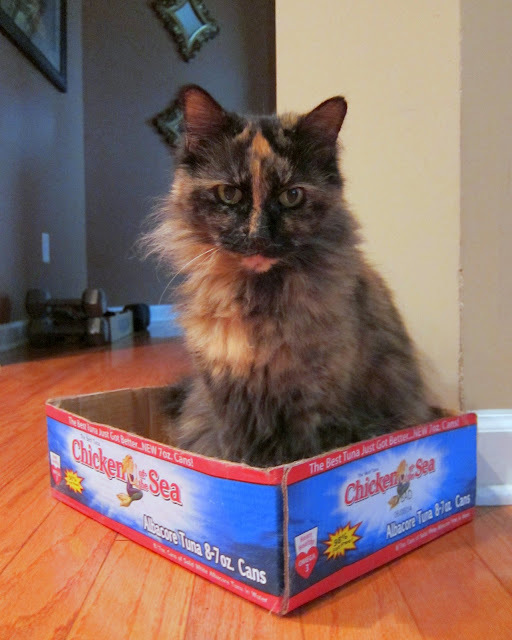 hahaha, look at Fluffy...is she begging for chicken of the sea?